GoAnywhere MFT is a secure managed file transfer solution that automates, encrypts, and streamlines cloud file transfers using a centralized enterprise-level approach. Whether those files reside in the public cloud, private cloud, or within a hybrid environment, GoAnywhere delivers the security and control you need to move data safely between systems, locations, users, and trading partners. GoAnywhere’s cloud deployment option aligns with organizations’ cost-saving strategies as IT and cybersecurity teams plan to migrate to the cloud or run in a hybrid environment. GoAnywhere can be deployed to a variety of cloud computing platforms including Amazon EC2 and Microsoft Azure. Popular file transfer and encryption protocols are supported in GoAnywhere including SFTP, FTPS, FTP, SCP, AS2, HTTPS, Open PGP, and ZIP with AES encryption. FIPS 140-2 validated encryption ciphers are provided for protecting confidential information. GoAnywhere can be installed in the cloud, on-premises, or within a hybrid environment. It supports Windows, Linux, UNIX, IBM I, and many other operating systems. No matter the deployment platform, GoAnywhere offers a fast and reliable way to move or share your cloud file transfers while monitoring activities from a central browser-based interface. File transfers and workflows are easily configured to move and process files on cloud environments and private networks. These workflows can be scheduled to run at any time using GoAnywhere’s built-in scheduler. GoAnywhere can also monitor for files in folders on cloud-based or internal file systems and run workflows based on triggered events. Our cloud connectivity features provide flexibility to partially or completely migrate to an Azure or Amazon cloud infrastructure. You can also work with web and cloud services like SharePoint, Salesforce, and Dropbox using GoAnywhere's easy cloud integrations. These integrations, called Cloud Connectors, are enabled through connections with APIs like SOAP and RESTful web services and seamlessly support the automation of data exchanged between on-premises and cloud-based environments. GoAnywhere MFT can connect internal and external trading partners through folders to cloud-based file systems including Amazon S3 buckets. When a trading partner places a file in one of the cloud-based folders, GoAnywhere MFT can automatically pull the file to your private network, and vice versa. For those concerned about the security associated with inbound transfers, GoAnywhere provides secure protocols like SFTP, FTPS, HTTPS, and AS2 for trading partners. Looking for a way to safeguard your file transfers on Amazon EC2 or Microsoft Azure? Learn how easy it is to deploy an instance of GoAnywhere MFT in your preferred cloud environment. "With GoAnywhere MFT, we've been able to create a well-balanced system that handles our needs and isn't maintained by our programmers or housed on-premises. Implementing GoAnywhere in the cloud (AWS) has helped us reach several of our business goals." Explore how you can easily integrate your file transfers with web and cloud applications using GoAnywhere's Cloud Connectors. 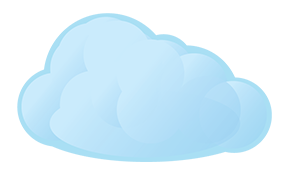 We offer cloud integrations for popular services like SharePoint and Salesforce, and we're constantly adding more. Take a look! Want to keep a pulse on what's happening in cloud security? 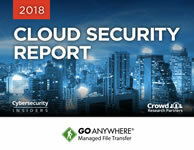 Use this report from Cybersecurity Insiders to discover what your peers—IT and cybersecurity users from organizations worldwide—think about this year's cloud risks, opportunities, and strategies. 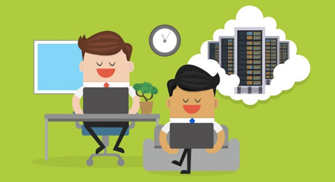 How do on-premises and the cloud differ? How are they the same? Can they work together in a hybrid environment? Explore the advantages, disadvantages, costs, concerns, and daily responsibilities of on-premises and the cloud in this detailed infographic. 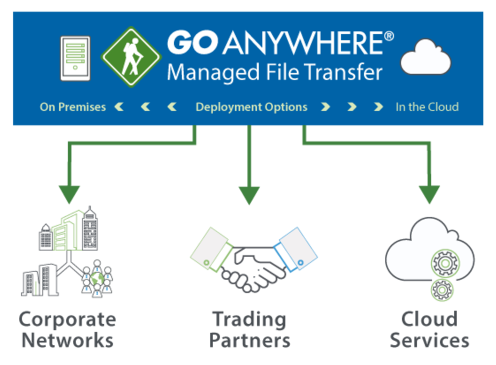 Request a demo today to see how GoAnywhere MFT can help you secure your cloud file transfers.